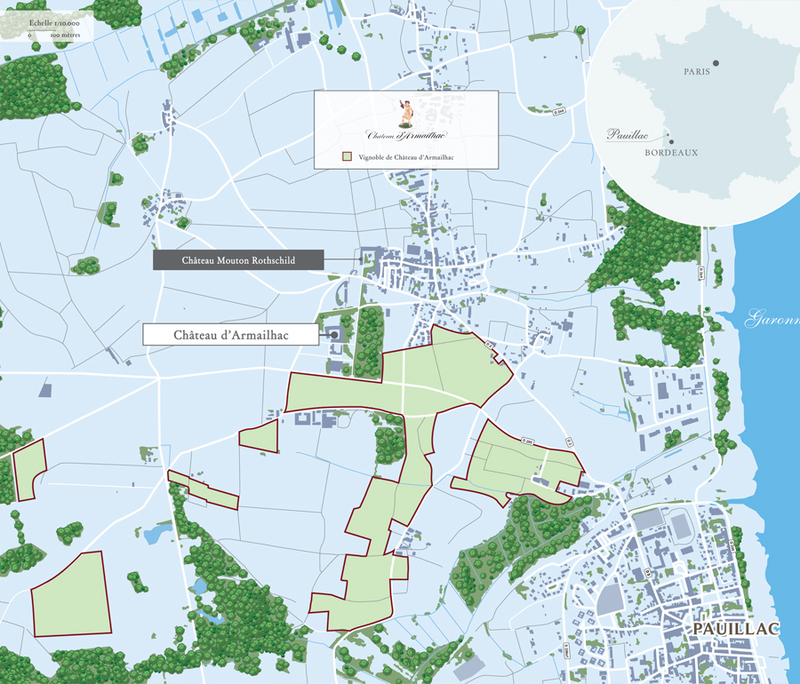 The vineyard of Château d’Armailhac, an 1855 Classified Growth under the name Mouton d’Armailhacq, covers 70 hectares (172 acres) in the northern part of Pauillac. An extension of the Carruades de Mouton plateau, the Plateau des Levantines et de l’Obélisque, made up of light and very deep gravelly soil, is the preferred terroir of Cabernet grapes. The deep gravelly soil of the Plateau de Pibran rests on a clay-limestone base, giving the Château d’Armailhac wines their characteristic refinement and elegance. The light gravelly soil of the Croupe de Béhéré is up to three metres deep. 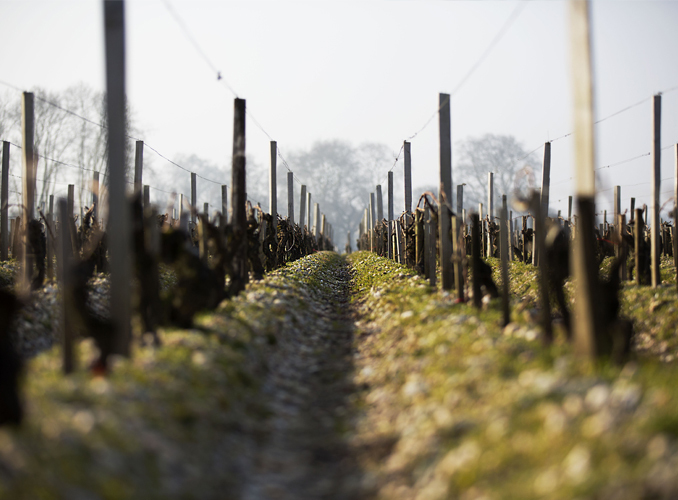 The vineyard is planted with traditional Médoc grape varieties (52% Cabernet Sauvignon, 36% Merlot, 10% Cabernet Franc, 2% Petit Verdot) on rootstocks best suited to the soil (mostly Riparia-Gloire). 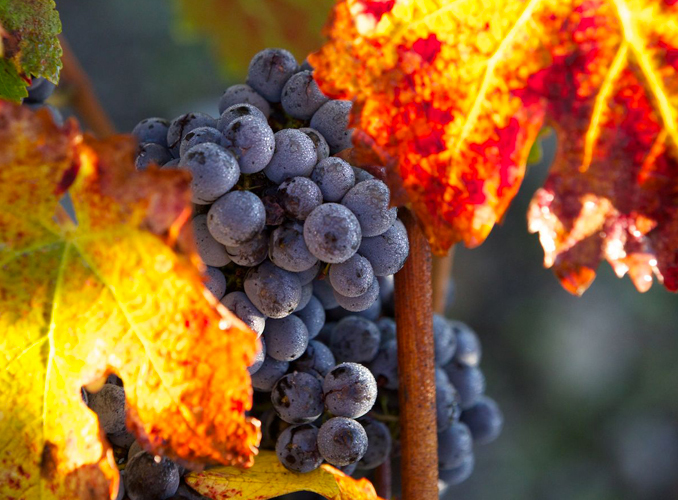 The average age of the vineyard is 46 years, but nearly 20% of the total surface area dates back to 1890. Plantation density is high at 10,000 vines per hectare: Château d’Armailhac preserves the old methods of ensuring quality. 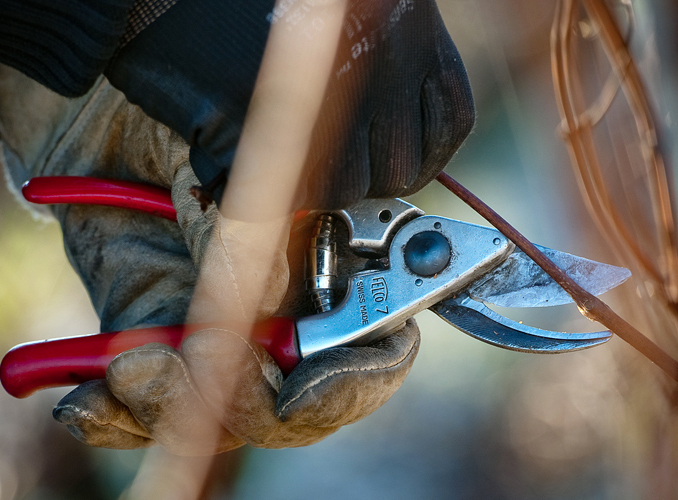 The vineyard is planted with traditional Médoc grape varieties (53% Cabernet Sauvignon, 34% Merlot, 11% Cabernet Franc, 2% Petit Verdot) on rootstocks best suited to the soil (mostly Riparia-Gloire). The deep gravelly soil of the Plateau de Pibran rests on a clay-limestone base, giving the Château d’Armailhac wines their characteristic refinement and elegance.